In today’s market, updating your kitchen is an effective way to expedite the sale of your home – according to leading real estate experts. 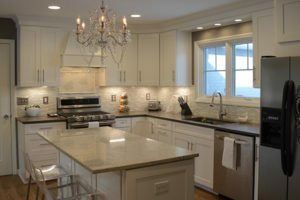 MCM Services will refresh that tired, small kitchen with quality materials and workmanship. We can design it for you or we can work from your ideas and drawings. MCM Services can do it all from tear out and clean up to framing and drywall; from cabinet and countertop installation to plumbing and electrical; from painting to floor finishing. When MCM is done with the job you can just relax and enjoy your new kitchen! Ask about financing offers to make your new dream kitchen even more affordable! We invite you to contact us for a free consultation to discuss many of the cabinet, countertop and flooring options available. 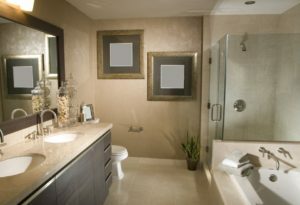 Did you know that the average return on a bathroom remodel is 80-90%? That means that now is the perfect time to update your bathroom! Let us show you many of the latest options in bathroom tile and countertops. Our experts can do anything from a basic tile installation to a premium installation with accent tiles and various patterns. Whether you’re looking for a complete bathroom remodel or just an updated look, MCM Services will give you the bathroom you’ve been dreaming of! Ask about our financing offers to make your bathroom project even more affordable!